While the negative effects of social media are often reported on, the majority (79.6%) of Brits actually believe that social media has affected their career in a positive way. What’s more, a quarter (24.1%) say that the posts they see and the people they follow influences their career decisions. 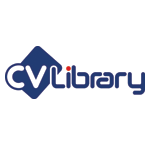 That’s according to the latest research from CV-Library, the UK’s leading independent job board. The survey of 1,200 workers explored the impact of social media on UK professionals’ careers and found that the younger generation were the most receptive to it. In fact, 40.2% of 18-25 year olds said that the posts they see on social media have influenced their career decisions. This isn’t surprising given that this age group is said to be the most avid users of these platforms. However, the findings did reveal the negative side of social media, where 40% of workers say they find it demotivating to see posts from people who are seemingly paid to do nothing. Alongside this, 32.5% find it demotivating to see other people with great careers because they don’t like their jobs. The survey also discovered which platform influences professionals’ careers the most. Facebook was the clear frontrunner, with 39% of respondents stating that it has influenced their career decisions. Second to this was LinkedIn, where 35.7% said it has positively influenced their career. Interestingly, the findings also revealed that the younger generation are branching out and finding new platforms for inspiration where YouTube was popular amongst 25% of under 18 year olds and Instagram amongst 20% of 18-25 year olds. Biggins continues: “It’s interesting to see that Facebook is a clear source of influence for workers, especially over platforms aimed at professionals such as LinkedIn. This can suggest that people are relying on their friends for career advice and inspiration more than connections within their industry."